You know you rock. You've rocked since birth. An alarming amount of heavy metal (of the musical variety) flows through your bloodstream. The question is, how do you convince the rest of the world of this cold hard fact? There are so many posers and half-hearted part-timers out there that get squeamish once it comes to jumping into the inevitable mosh pit. Yeah, you can throw up the horns in every photo if you want but if you really want to gain some rocker respect, your look has got to be right! That's where this mullet comes in. It's not your typical, "business in the front, party in the back" look. Nope, this cut is made of one-hundred percent high-grade party. So you can rock on with all sorts of cred in the pocket of your torn up jeans! 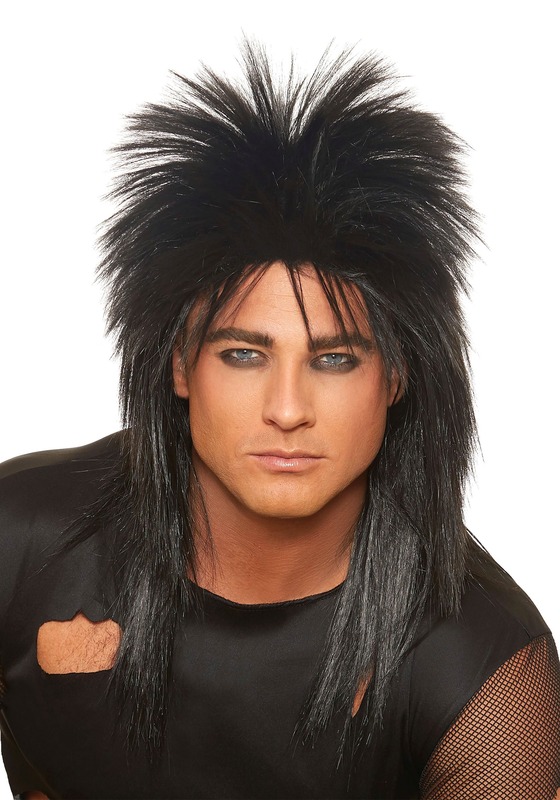 No one will doubt your love of rock-and-roll, at least for the night, when you're wearing this wild wig. The top has a shaggy short cut that looks like it's straight out of the eighties. The glossy black hair in the back hangs past your shoulders for plenty of drama as you're headbanging on stage! Once you throw on this due, you're officially enacting the basic human right of partying. So tighten your Converse sneakers and chain your wallet to your pants cause tonight's going to be one for the books. Thank goodness we've got Instagram these days so unlike the parties of the eighties, you'll actually have photos of yourself being wild and free. 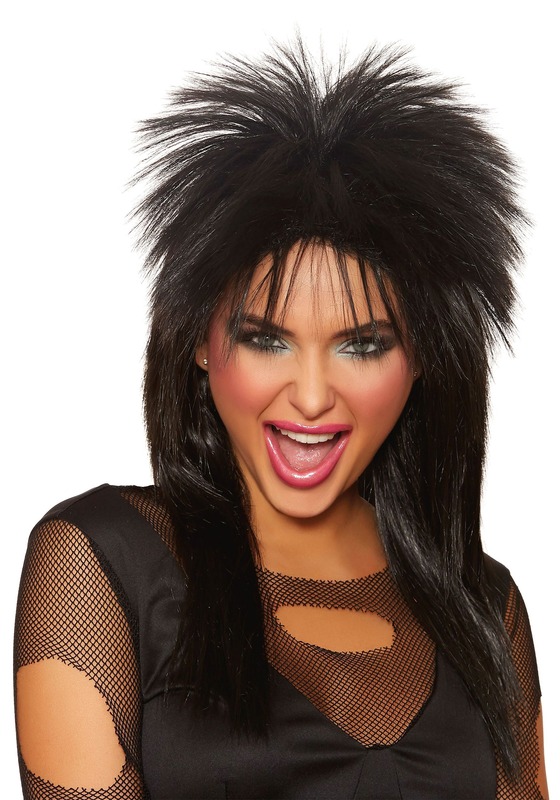 Lucky, because you'll never want to forget what it's like to rock in hair like this!